En Ka Fair, En Ka Exchange, En Ka Society...What is En Ka?? You know that En Ka hosts Winchester's biggest fundraiser and social event of the year, the En Ka Fair, but do you know the origins of En Ka, what they do and how the society contributes to the Winchester community? 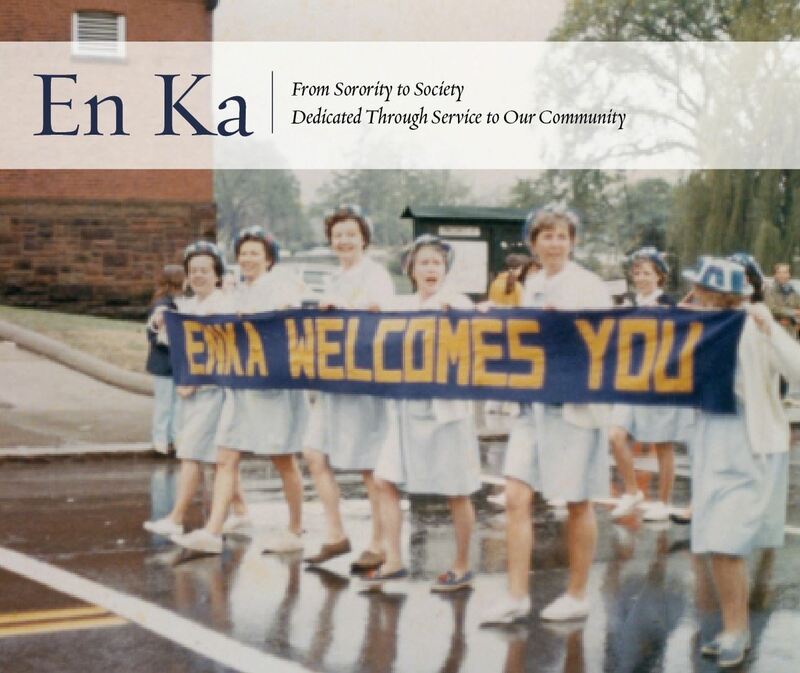 The En Ka Society proudly presents the first-ever book of En Ka’s history, En Ka Society – From Sorority to Society, Dedicated Through Service to Our Community. The 90-page coffee table style hardcover book, full of previously unpublished stories and photos, is available to purchase for $30 at enkasociety.org. Written by Dr. Ellen Knight, Ph.D., En Ka Society – From Sorority to Society, Dedicated Through Service to Our Community, is a wonderful compilation of the stories about the people, events, and spirit that shaped En Ka’s rich century-old history. Photographs once hidden away in shoeboxes and pasted in scrapbooks bring En Ka’s past to life. Newspaper articles dating to the 1930s recall early fairs, home-front efforts to support troops during wartime, and development of the En Ka Exchange. This book delves into the origins of the Society, dating back to 1902, and sheds light on how it has grown from a small, but strong, group of Winchester high school girls into a thriving multigenerational sisterhood of women who continue to fulfill the original promise of service and raise funds for hundreds of Winchester-based non-profit organizations. Author Ellen Knight, currently the reference archivist in the Winchester Archival Center, has authored hundreds o f local history articles for the newspapers, along with several books and booklets, the latest being the centennial history of Winchester Hospital and an illustrated history of Wright-Locke Farm. To purchase En Ka Society – From Sorority to Society, Dedicated Through Service to Our Community, please visit enkasociety.org and purchase the book via PayPal ($30 per book). If you have any questions, please email historybook@enkasociety.org. To purchase a book, please click here.